I’m sitting on the porch with the sound of a few gentle raindrops on the apple tree above the overhang. It has been a sweet quiet Sunday, a two nap day, finally getting caught up on rest after perhaps overextending a bit for the first part of the month. It was fun – camping, backpacking, hanging out with Pretty Gritty, teaching a workshop to a worship team in Fruita, heading over to check out the first annual Arise Music festival and seeing some of my favorite bands: Gregory Alan Isakov, Xavier Rudd, Zap Mama, Michael Franti, Sea Stars and some fun new music too. And I got to get up on stage with Scott and Shanti Medina to offer a bit of embodiment practice, yum. But I stayed up maybe a little too late, and ate maybe a few too many coconut caramels and breathed just a little too much dust. And when I got home, the laundry had piled up and the weeds were growing just as fast as the plants in the garden. And a bit of overwhelm kicked in. And then, I started feeling concerned because just as the abundance that we have worked so hard to produce in the garden was coming into the kitchen, I was feeling burdened. Luckily, with a bit of sleep, it all comes back into perspective. . . those 20 pounds of zucchini would make yummy fritters for the winter. And the eggplant that has been asking to be picked for at least a week is now baba ganoush and both recipes have earned a place in my “let’s do that again” folder. Luckily the next peach tree on the property has given us a bit of a breather, but I hear the promise of soon. . .
I’ve been feeling the peaches lurking. We’ve got a tree in our driveway and the branches start to brush on the roofs of our friend’s vehicles as they pull into the driveway. And I kept checking, and they were not ripe. And I wanted them to be, but they were not. And then. . . They are falling when people drive up the driveway. They are falling when the wind blows. It is time for peach preserving. So today I rallied a small crew and we made peach sauce, peach chutney, peach cobbler, dried some and froze some. I didn’t really use a recipe for the chutney, but here’s the basic ingredients, and you can adjust to your tastes. eat with chips or lentil soup or indian food or rice. But the thing is this. . . we spent all afternoon on this project and we got a lot done, but there will be more to do tomorrow. And the next day and the next. If we want peaches, this is it. . . preserve them or loose them. So many things in the garden happen this way. I tried to plant the “exact right” amount of zucchini last year, so that we wouldn’t be overwhelmed, and what happens? None of them grew at all. 0 zucchini. So this year I planted lots, and lots of zukes. I decided that too many was better than none. And overall we’ve been keeping up. . . We’ve dried some and frozen some and given some away. And I’m sure this is a metaphor, but I’ll let you fit it into your own life and say this: I’m so thankful for the abundance. Last night I went out to the free concert in the park and it was fun to do a bit of dancing and see some folks. Something that used to fill all my time somehow has been replaced . . . 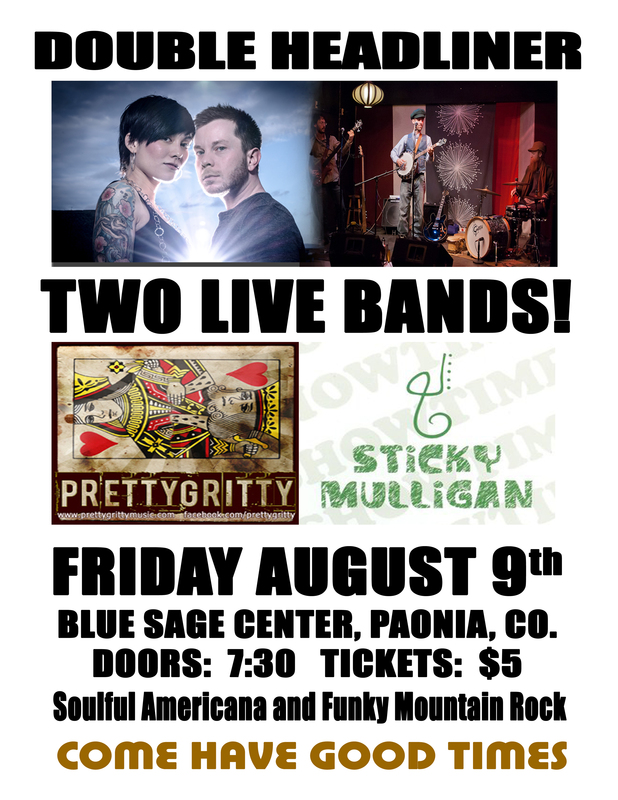 But at least it will be a two-dance week for me, because I’m going back out tonight for the Sticky Mulligan & band + Pretty Gritty show in Paonia . . .